AMD founder Jerry Sanders was fond of flashy suits and boasted of his manufacturing prowess. "Real men have fabs," he would say, referring to the costly chipmaking plants that AMD operated. 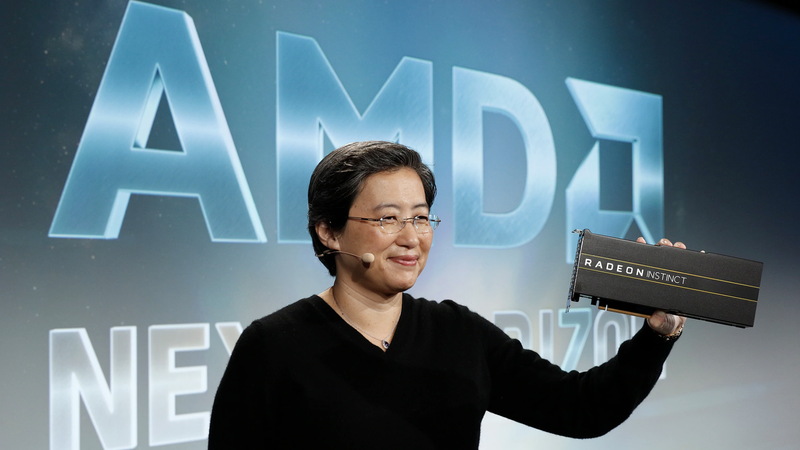 Current CEO Lisa Su presides over a very different AMD. It's one that still aims to rival Intel in powering the world's most capable computers, as it did under Sanders — but Su's AMD focuses on design and strategy, leaving the actual manufacturing to partners like foundry Taiwan Semiconductor Manufacturing. Su said that making its own chips was actually holding the company back, adding technical uncertainty and financial risk to the business. "That was part of the inconsistency in the company, frankly," she said. Why it matters: AMD is looking to establish itself as a credible long-term player in markets like the data center, where customers want to know that their supplier not only has a competitive chip at the moment, but a strategy that will remain competitive for several years. Still, Su says there are things that unite her and Sanders, including a belief in making big bold bets on technology. "Our personalities are quite different," she said. "Our ambition for the company is quite similar." Picking its spots: Whereas Intel has pursued everything from chips for cellphones and IoT devices as well as a number of consumer electronics markets, AMD is focused on chips for PCs and servers. "We're not doing drones," she said. She also spoke out on several other topics during our interview last week. On diversity in tech: "There’s a lot more we need to do," she said. But she said tech does have the opportunity to be an egalitarian field. "It’s one of the reasons I love engineering. It's pretty black and white. Either you deliver the product or you don’t." On her upcoming speech at CES in January: "I’m proud that AMD is going to be on that stage," she said, adding that she knows AMD has the challenge of being less well known than many big tech companies. "Hopefully after CES they will know what they do."